Arcade-to-console ports usually do not turn out for the best. 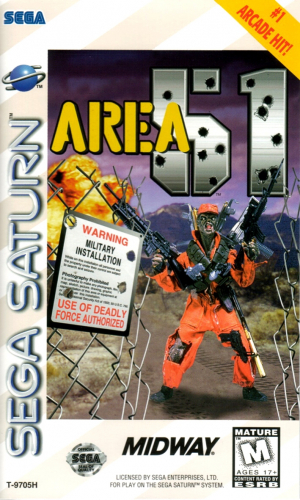 However, AREA 51 manages to come as close to arcade-perfect as you can get. 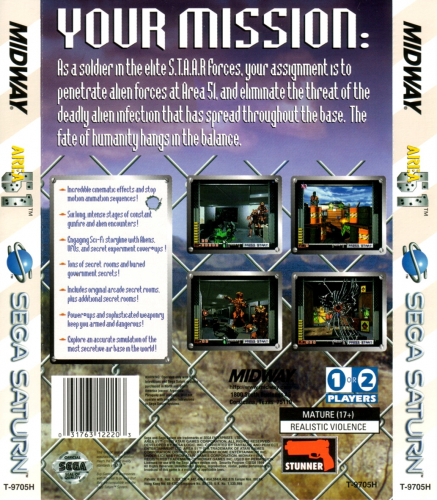 Everything, from the graphics to the gameplay, is almost identical to the arcade version. The 3D areas of this shooter are beautifully rendered and the backgrounds are stunning. Most of the backgrounds are destructible as well, adding to the gameplay experience. Any fan of the arcade version will love this game.